Mission: The Missouri State Lottery Commission maximizes revenues for public education through the creation and sale of fun and entertaining products consistent with the highest levels of service, integrity, and public accountability. 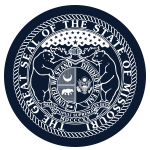 Function: The Missouri State Lottery Commission promulgates rules, appoints an executive director, approves the annual budget, and advises the executive director. Compensation: Members' expenses are paid by the Lottery Commission Fund.